​Mike and Jared look forward to helping you achieve your goals. Mike Singleton has coached both men and women at the NCAA Division I, II, and III levels. You could say that he knows a thing or two about collegiate soccer. Washington & Lee’s Head Men’s Soccer Coach since 2014, Singleton has led the Generals to soaring heights with both regular and postseason success. His 2017 squad finished 15-5-2 and made it’s third straight appearance in the ODAC Championship game. In 2016, the Generals received an at-large bid to the NCAA Tournament and advanced to the second round before falling to Franklin & Marshall, 2-0. Singleton mentored seven all-conference honorees, including one who earned ODAC Player of the Year accolades. W&L was ranked as high as fifth nationally and finished the season 24th in the NSCAA Poll. 2015 saw Singleton honored as the ODAC Conference Coach of the Year and the VaSID State Coach of the Year. He previously served as the head coach at Massachusetts Institute of Technology (MIT), where he led the Engineers to a 35-18-4 record, one New England Women’s and Men’s Athletic Conference (NEWMAC) Tournament Championship, one NEWMAC regular season title, and two NCAA Tournament berths in three seasons (2011-13). In 2013 Singleton was awarded the NEWMAC Conference Coach of the Year Award for his efforts. Additionally, two different Engineers earned All-America honors during his time at MIT, more All-Americans than in the preceding 90+ year history of the program. In addition to coaching at the college level, Singleton spent many years as the Massachusetts Youth Soccer Head State Coach and Director of Coaching as well as Executive Director of the same organization. Singleton has also been a United States Youth Soccer Region I ODP Senior Staff Coach, the U16 Region Head Coach, as well as a United States National Staff Coach, working as both a coach and psychologist at the U14 National Camp and helping to construct National license courses. Singleton has served as a technical committee member for both the 2005 CONCACAF Gold Cup and the 2003 Women’s World Cup.He has also been the Director of Coaching for the Kirkwood Soccer Club and the Barrington Area Soccer Association. He is a 1995 graduate of the University of Pennsylvania with a Bachelor of Arts in Psychology and English. He earned a master’s degree in clinical psychology from Purdue University in 1998. 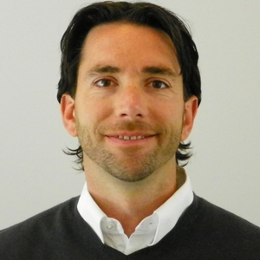 He currently holds a USSF “A” License, a FIFA Futuro III Diploma, US National Youth License, English FA Youth Diploma, Dutch Youth Diploma, and a NSCAA Premier License. In addition to coaching the Generals, Singleton is also an Associate Professor at Washington & Lee, teaching Sport Psychology. For the last 20 years, Jared Scarpaci has shared his love and passion for soccer with players of all ages via his professional roles in a variety of programs. Most recently, in the fall of 2015, Jared took over the reigns of the Varsity Boys’ Soccer team at Masconomet High School in Topsfield, MA, where he has taught social studies since 2002. In his first season Jared led the team to the Cape Ann League Championship, the Division II Sectional Championship and the State Finals. In 2015 he was named to the NSCAA Region 1 rankings committee, which selects the top 25 high school boys soccer programs in the country for the USA Today national and regional polls. Previously, Jared was the Head Coach of the Emerson College men’s soccer team from 2003-2014. During his 12 years at Emerson the team qualified ten years in a row for post-season play with entrance into the Great Northeast Athletic Conference (GNAC) tournament.He also guided the program through a successful transition to the New England Men’s and Women’s Athletic Conference (NEWMAC). This entrance into one of the nation’s most competitive and prestigious soccer conferences was a highlight of his career. Other highlights at Emerson include: 2009 GNAC Coach of the Year, 31 All Conference Players, 93 Academic All Conference Players, 3 NSCAA Men's Scholar All East Region members, 3 All New England Players, 10 Academic All American Teams, 2 NEWMAC Conference Sportsmanship Awards, the most wins in a season in Emerson History (14), 100 wins milestone in 2012, and the most wins in school history (111). In 2014 he was named Eastern Massachusetts Soccer Coaches Association – College Coach of the Year. Prior to his years at Emerson, Jared was an assistant coach for the Wentworth Institute of Technology’s women’s program and the Endicott College Men’s team. He then became a graduate assistant at Division I Stetson University (FL), where he handled many of the administrative aspects of the program. He then returned to New England and was the assistant coach at perennial New England Division III power Salem State University, where he spent two years with the men’s team while earning a Masters Degree in Education (MEd). 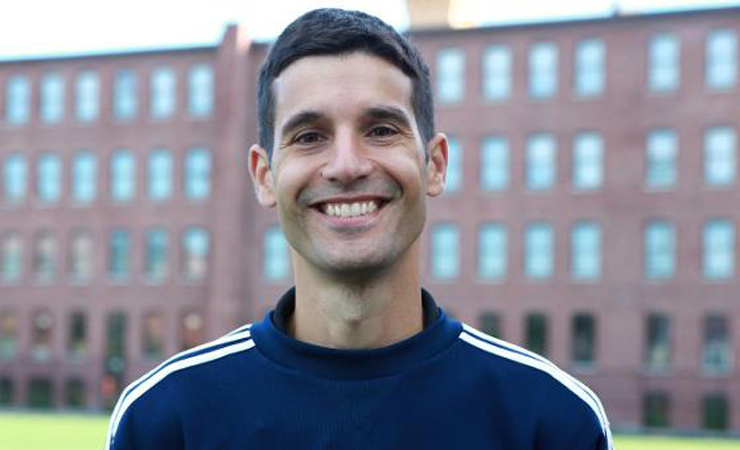 Heavily involved in youth soccer, Jared was the Director of the Massachusetts Olympic Development Program (ODP) for 15 years (2000-2015), and continues to serve on Mass. Youth Soccer’s Board of Directors. He is also the vice president of Aztec Soccer Club on Boston’s North Shore, a premier soccer club with over 700 players, both boys and girls. Jared holds a US Soccer Federation National "B" License and a Premier Diploma from the National Soccer Coaches Association of America (NSCAA) and a Director of Coaching Diploma. He has played semi-professional soccer with the Lowell Blues and the Massachusetts Aztec. A history major at Clemson University where he received his Bachelor of Arts degree, Jared was a member of the Clemson club that ranked twelfth in the nation, and also played for two seasons at Division I Siena College in the Metro Atlantic Athletic Conference (MAAC). In addition to his BA and MEd, Jared earned an additional graduate degree in Educational Leadership from the University of New England.